← What’s That Perfume Called? A little bit different to the poinsettias we are used to seeing. This difference between the wild and the cultivated form is due to cultivation of the plant over many years-changing it from a tall, straight tree to a small bushy plant-and infection by a bacterial pathogen, phytoplasmas. I previously talked about phytoplasmas here. 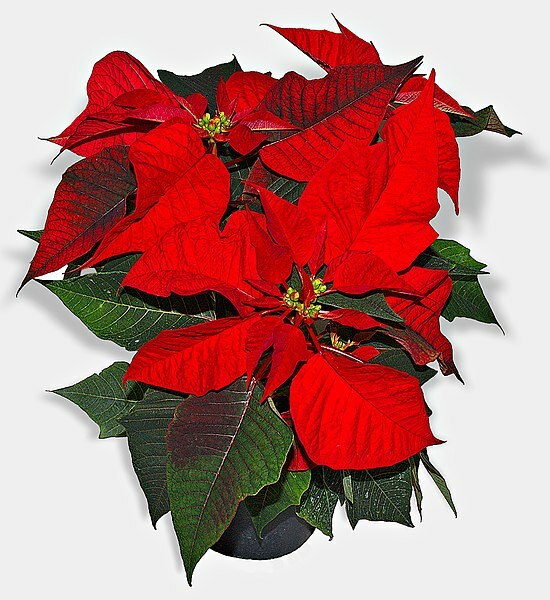 There are two types of commercially grown poinsettia, which can be seen in the image below. Poinsettias which have a restricted branching morphology produce fewer ‘flowers’ (actually modified leaves) than the free-branching morphotype. The latter is more important economically because they produce more flowers (to sell on) and this morpohology is more desirable in a potted plant. In 1997 it was shown that this free-branching morphology was due to infection by a phytoplasma. Phytoplasmas are able to interfere with stem development to create a smaller bushier plant, which happen to be desire by the growers. 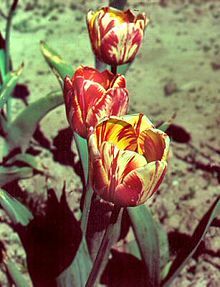 In conclusion, a lot of research goes into controlling plant pathogens because of the loss of yield that they cause but there are cases where their intervention is desired- for example, Botrytis in wine and the colour-breaking in tulip petals caused by a virus. So, spare a thought for poinsettias this Christmas, those characteristics are actually symptoms of disease. Lee, I-M et al. (1997) Phytoplasma induced free-branching in commercial poinsettia cultivars. Nature Biotechnology, 15, 178-182. Lee, I-M. (2000) Phytoplasma Casts a Magic Spell that Turns the Fair Ponsettia into a Christmas Showpiece. Plant Health Reviews. This entry was posted in Pathogens and tagged Christmas, Floral, Flower, Merry Christmas, phytoplasma, phytoplasmas, plant, plant disease, plant infection, plant pathogen, plant pathology, plants, Poinsettia, Poinsettias, Wreath. Bookmark the permalink.